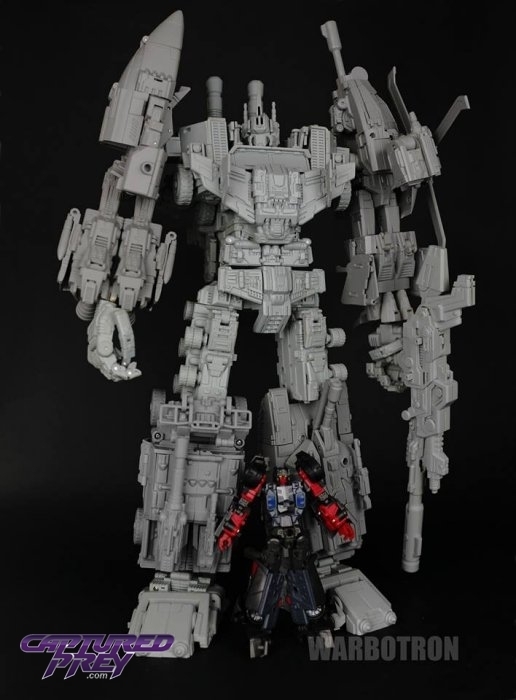 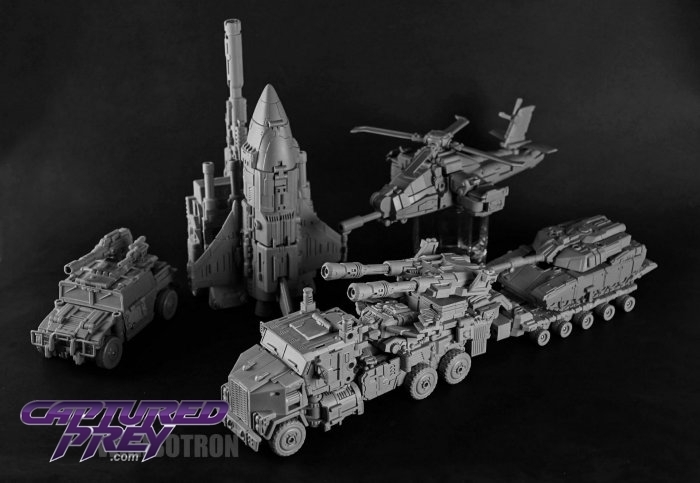 Warbotron has come on the scene with a VERY impressive first offering, a huge homage to Bruticus! 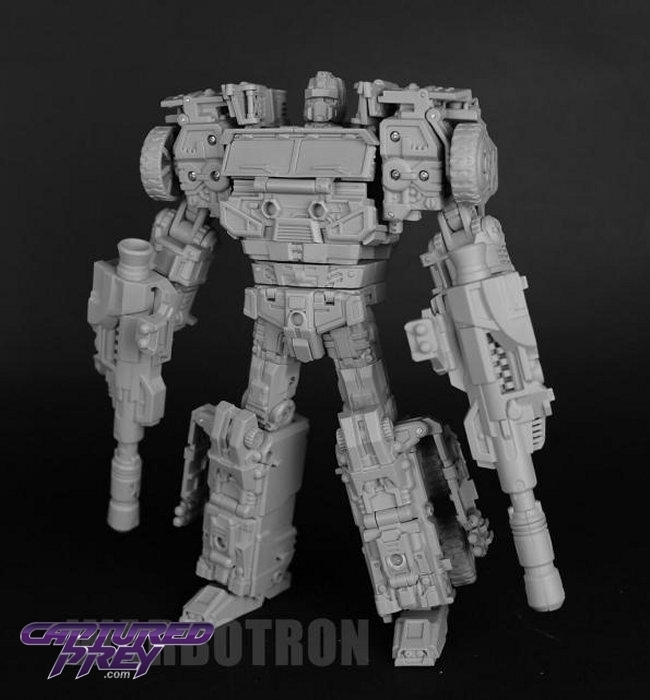 Standing at least 14" tall in combined mode, each limb figure is roughly Voyager scale, and the torso is Ultra class! 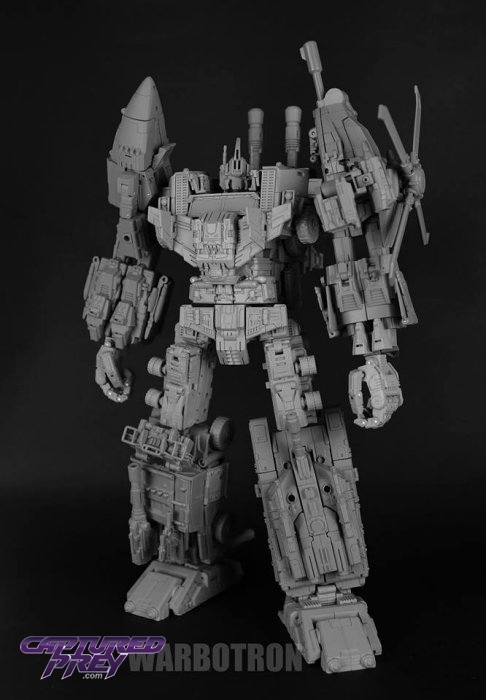 This promises to be an amazing update to a fan-favorite combiner! 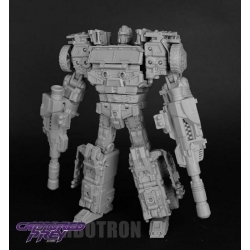 This figure appears to be a second run, and does not include the extra ratchet parts or the replacement torso for Air Burst. 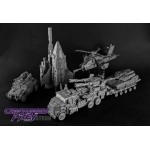 Please note, the side mirrors on the vehicle mode of this figure can be very difficult to move and are fragile due to their thin plastic and design. 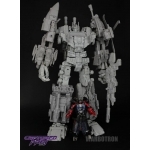 Move these parts at your own risk, as we cannot guarantee that we will be able to get replacement parts for this figure due to Warbotrons history of extremely slow resonses, if any, to parts requests. 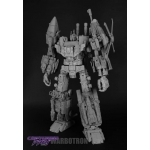 Discount codes for all Warbotron items have been removed, and all normal prices for Warbotron figures have been reduced to reflect the price the 5% discount previously offered.